There are a lot of things to like about Salt + Smoke, like owner Tom Schmidt's sultry voice and his Leonidas beard, dense as Germany's Black Forest, dark as night. And chef/pitmaster Haley Riley, who not only cooks meat that can't be beat, but once won a Jon Snow lookalike contest at West County mall. But what I like the most about Salt + Smoke is the brisket. I've written about their burnt end t-ravs before, but I've never written about the brisket itself. Brisket is my smoked meat of choice. 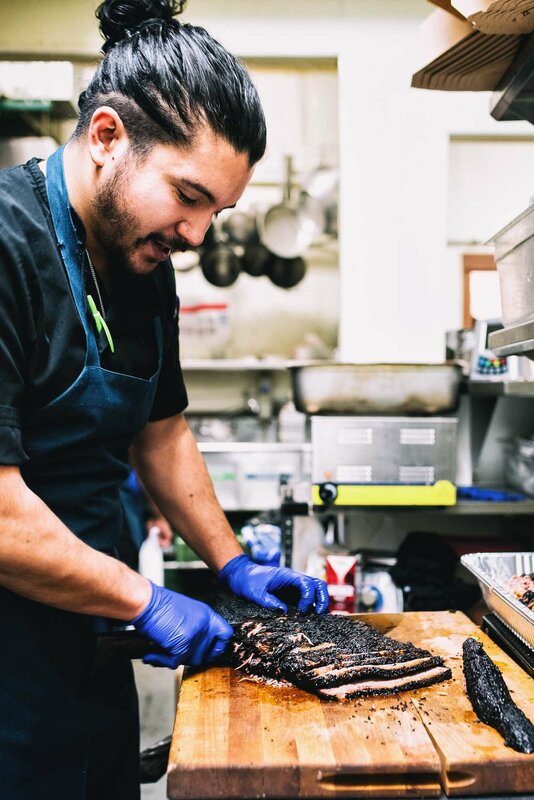 I would pick fall-apart-tender, Texas style brisket over ribs and pulled pork any day. At the time of writing, there are three places that can quash my qraving for it in St. Louis: Salt + Smoke (obviously), Big Baby Q, and The Stellar Hog. Before being smoked over white oak for the better part of the day, the brisket is rubbed with a simple salt and freshly ground (pre-ground stuff is for people that don't like flavor) pepper mix. Then it goes in. That's it. The result is brisket that manages to stay together and fall apart all at the same time. It's smoky. The bark is crunchy. It's juicy, like a meat Starburst. I love it. 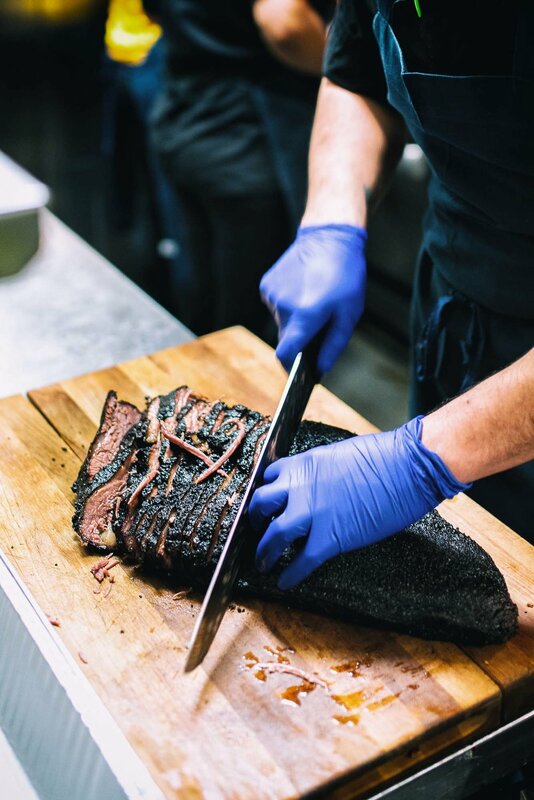 You can get the brisket either as a platter, which comes with two sides (I'd probably get the garlic and herb fries and white cheddar cracker mac) and a cheddar-bacon popover, or you can get it as a sandwich with burnt end mayo and tobacco onions. When you order it, you'll get the option of lean, fatty, or burnt ends. You should order the lean—that leaves more of the good stuff for me. Oh, and I don't want to forget: Salt + Smoke has William Larue Weller bourbon in right now. Treat yo' self.